This is will be a gas only fireplace, made by Isokern. Rated only for a gas log set, it is a lightweight modular cementitious unit and is about as close you can get to looking like a real wood burning fireplace. Ducting, more plumbing, & electrical are on their way in. And first look with the cabinetmaker to review layout and details. Exteriors walls and are roof up! The last of the old foundation is gone. Note how little they went done into the the dirt. 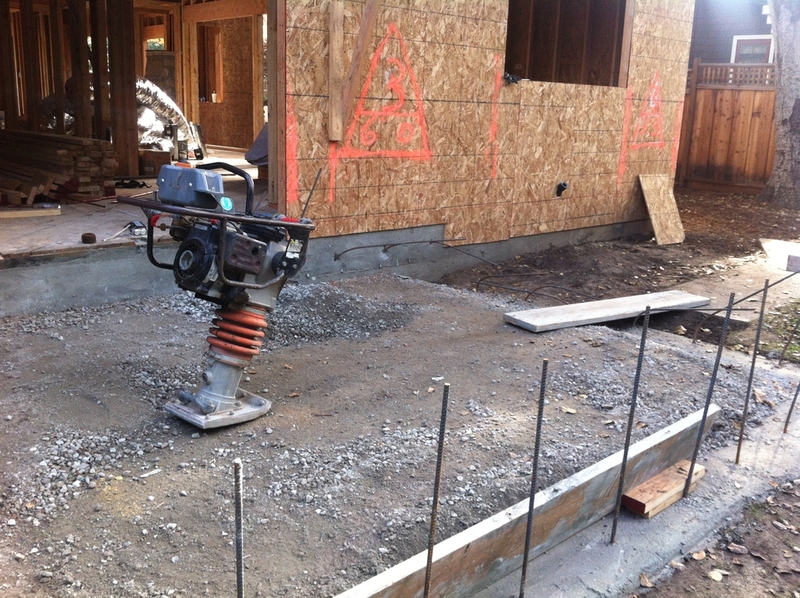 This is showing the temporary shoring wall, holding up the second story, while the new footing is being replaced below. There is a corresponding temporary wall below in the crawl space.